DeBest Sod, Get DeBuck's Sod! 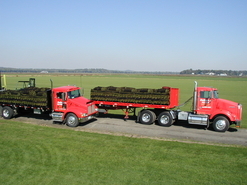 DeBuck's Sod Farm of NY, Inc.
We are Ready to Provide Your Project with Beautiful DeBuck's Sod! With Spring approaching, now is a great time to start thinking about your outdoor project or jobsite. We are here in the office to answer your questions and help you to start planning for the Season Ahead. We Pride Ourselves in Exceptional Customer Service, Call Us Today! in the New York Metropolitan area! We are committed to providing a lush, dark green, uniform product - absent of weeds and disease. 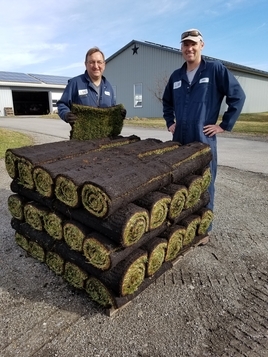 DeBuck's Sod is ideal for any project including residential lawns, commercial landscapes, golf courses and sports fields. As a family owned and operated business, we are committed to quality and customer service. 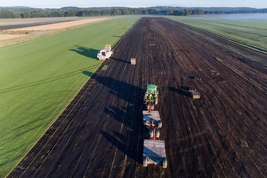 Contact us to find out how DeBuck's Sod can put the finishing touch on your project! 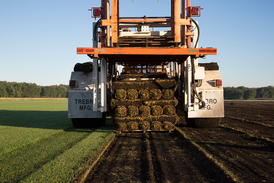 At DeBuck's Sod Farm we are proud of our premium quality Turfgrass! Please take a minute to look at our photo album and see pictures from our farm!